Dr. Stephen Dooley is Assistant Professor at the School of Physics since August 2016. 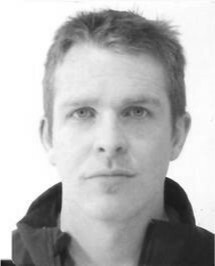 Stephen obtained his BSc and PhD from the National University of Ireland, Galway, in pure and applied chemistry and physical chemistry in 2004 & 2008 respectively. He then spent three-and-a-half years as a member of the professional research staff at the Department of Mechanical and Aerospace Engineering at Princeton University, USA. After this, he worked as a thermofluids technical specialist at Cummins Engine Company in the UK, before joining the University of Limerick as a Lecturer at the Department of Chemical & Environmental Sciences where he spent 3 years. His research interests are in the Science of Energy, where he specialises in chemical reaction kinetics, fuels, and combustion science. He holds starting investigator and Career Advancement Awards from Science Foundation Ireland. He is the founding Director of the MSc in Energy Science at Trinity College Dublin.